What is ½ of 1? What is ½ of 1/4? What is ½ of 1/8? What is ½ of 2/3? Notes: I modeled this on the open number line. This is intended as an early number string when kids are beginning work on fractions. 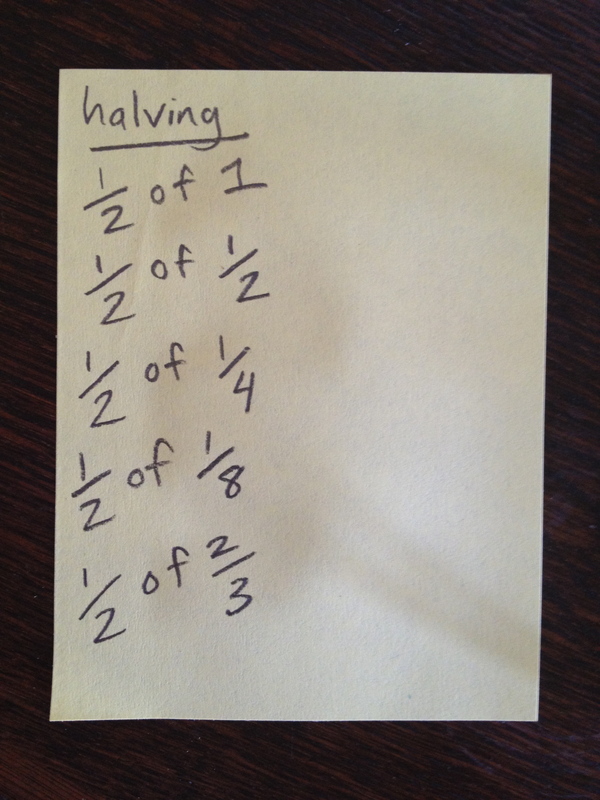 Doubling and halving are great places to start to develop rational number sense.